As promised, here's a follow-up to my previous post. 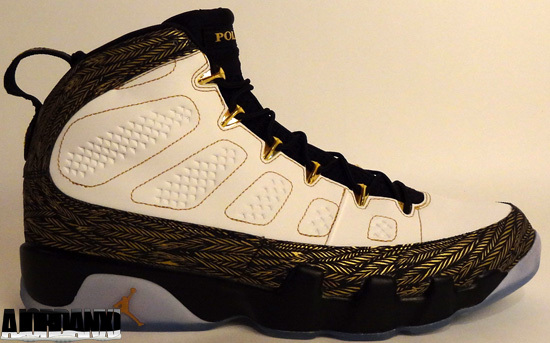 A detailed look at the Air Jordan 9 Retro DB "Doernbecher". Last December, after a series of fainting spells, Oswaldo was given a life-changing diagnosis: severe pulmonary hypertension. The once very active boy now has to be cautious with the amount of energy he exerts. Oswaldo is very close to his family, and drew inspiration for his shoe from his Mexican heritage with a little help from his younger brother, Aviram. 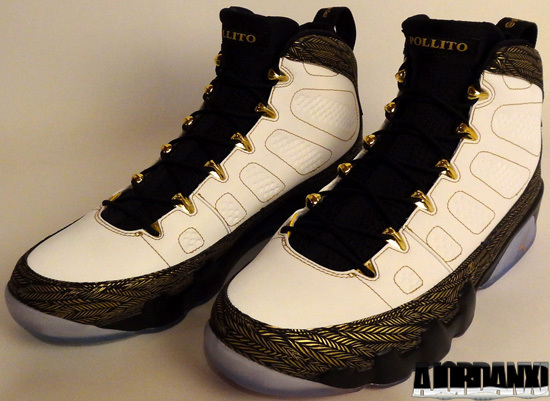 Coming in a clean white, metallic gold and black colorway. 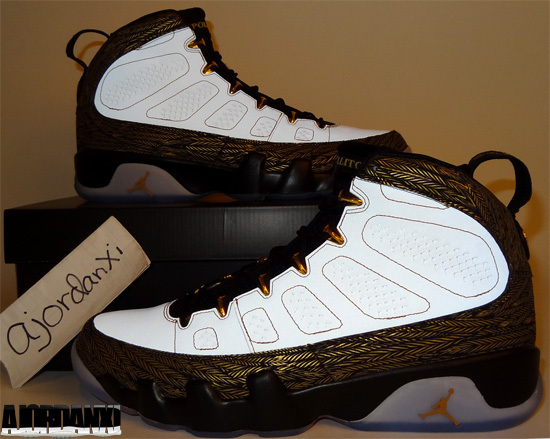 They feature a white-based 3M reflective upper with metallic gold and black accents sitting on a full icy blue translucent outsole (a first for the Air Jordan IX). 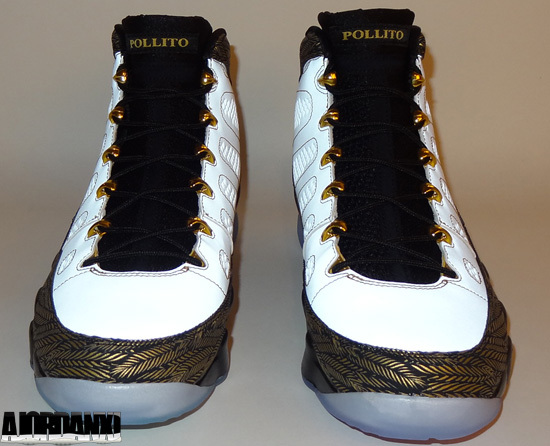 Oswaldo's nickname of "Pollito" is found on the tongue tag and the bottom of each shoe is a different color, one green and one red, made to commemorate his Mexican heritage. 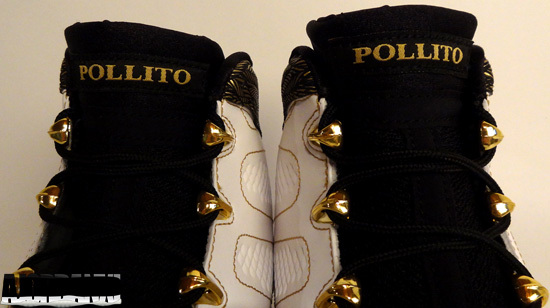 The number "17" is stitched on the back heels, Pollito's favorite number and the date "September 13th" is on the inside of each tongue which is his birthday. Now, I am a collector as you all now. 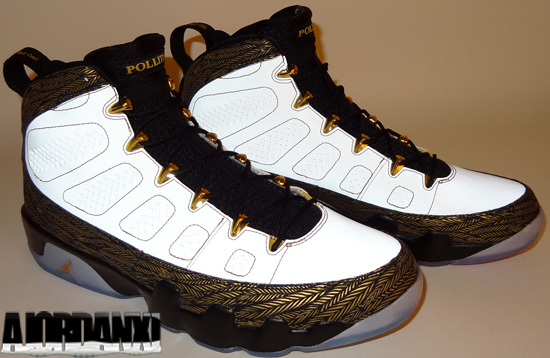 But, the each year that Nike an Doernbecher team up, I try to contribute by buying the Jordan released each year, even if i'm not a huge fan of it. This year however, I liked the shoe to begin with but when I saw it in person, I was blown away. 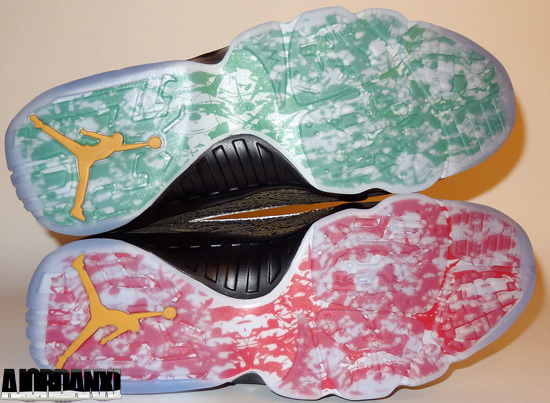 The 3M upper and all the detailing's as well as the full translucent outsole really make this pair shine. A job well done, Oswaldo Jimenez. 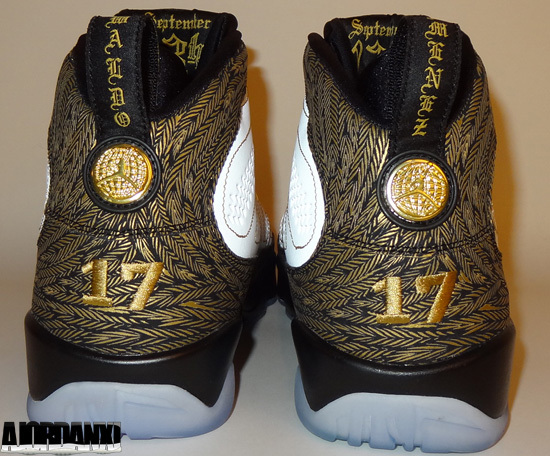 Enjoy the detailed look at my pair of Oswaldo's Air Jordan 9 Retro DB "Doernbecher" below. 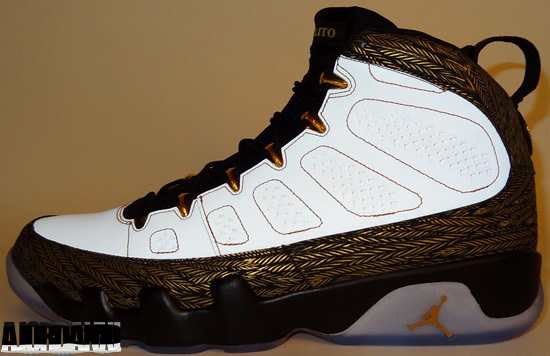 If you're still on the hunt for a pair, click here to grab a pair on eBay.